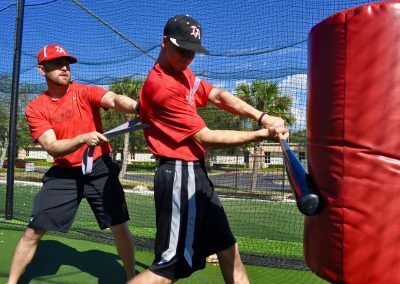 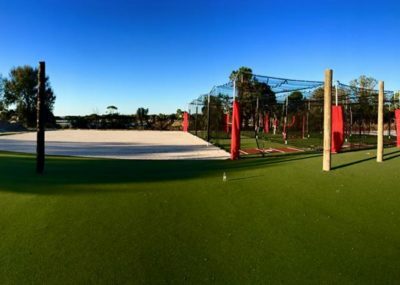 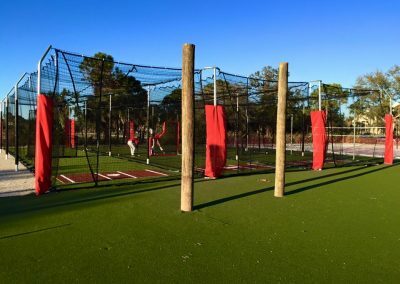 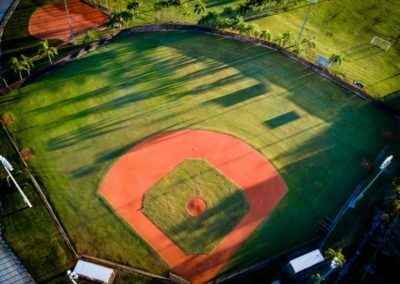 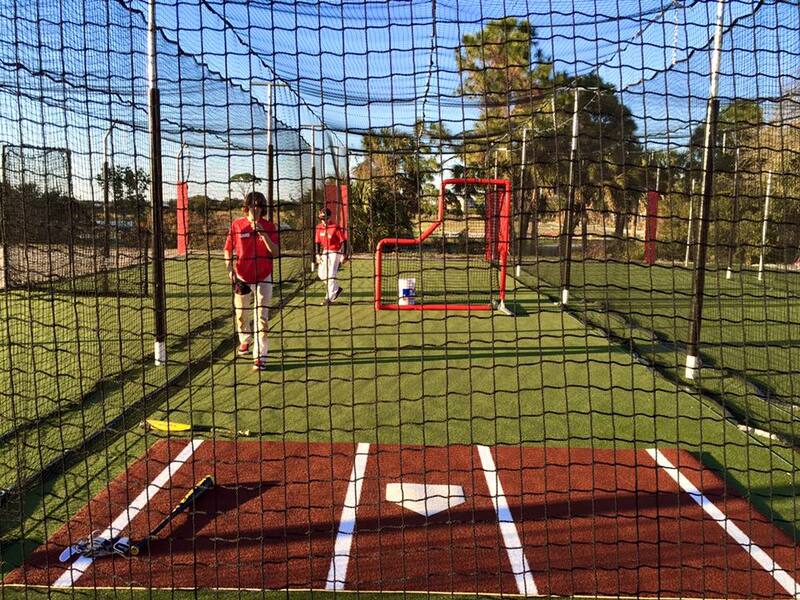 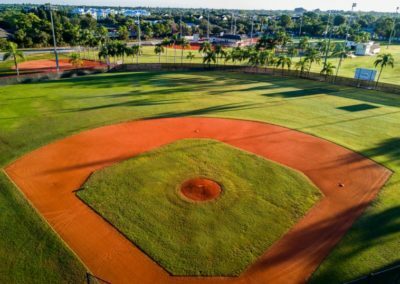 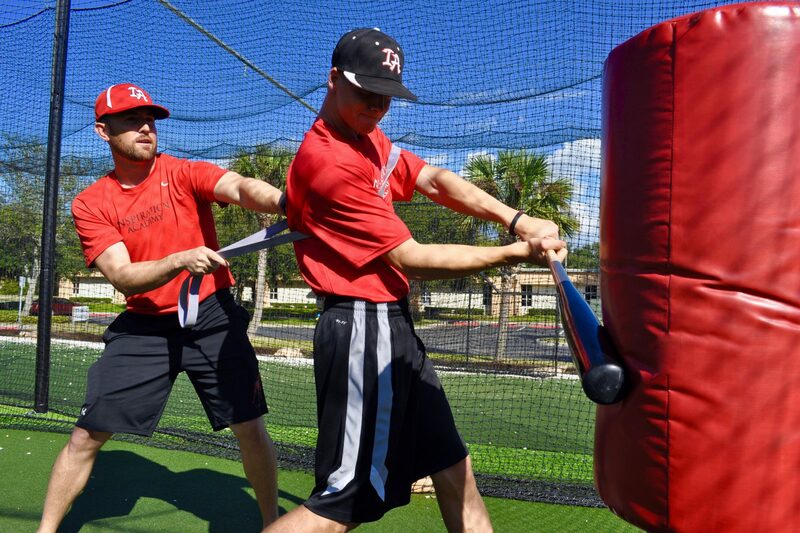 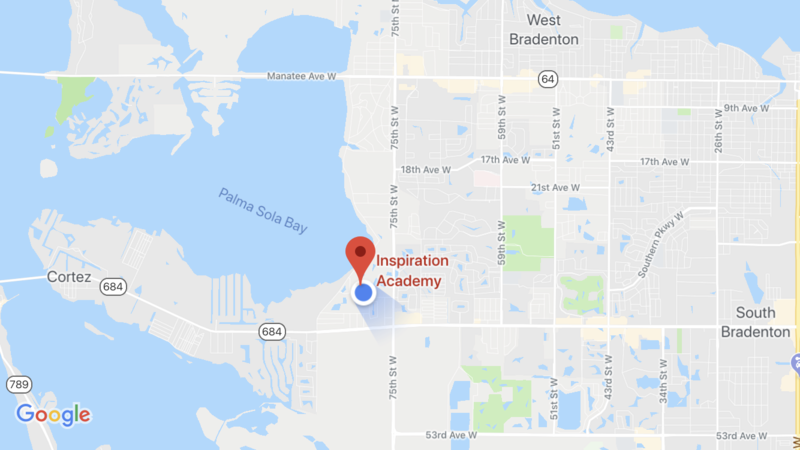 14,500 square foot lighted outdoor training area with six cages, six separate tee stations, and an open space with netting dedicated to driveline-style weighted ball training and drill work. 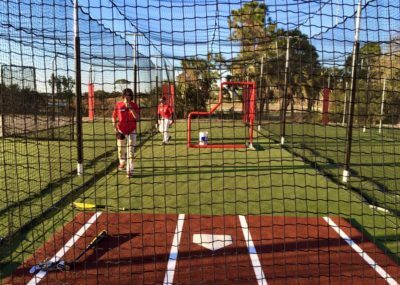 Three bullpen mounds with an open space for drill work, flat grounds, and training. 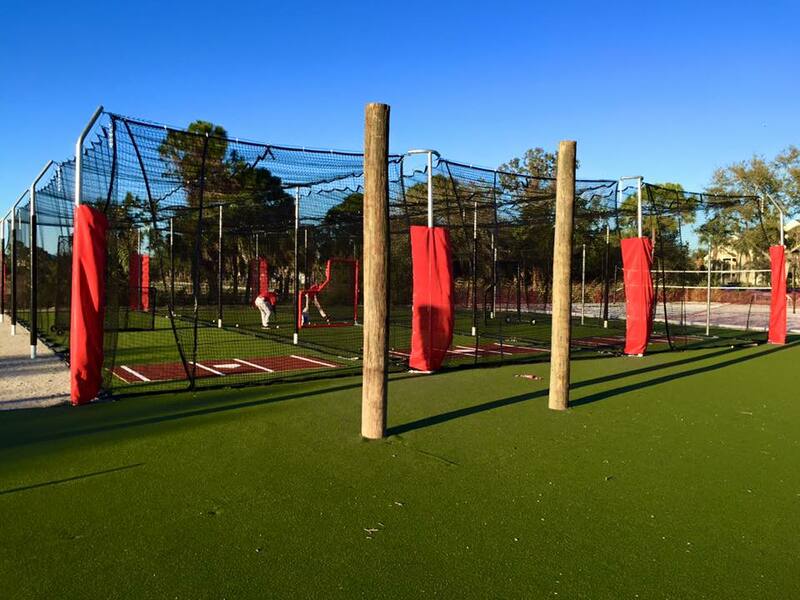 On-site renovated locker room with full size lockers, bathroom, showers, and a sitting area with couches. 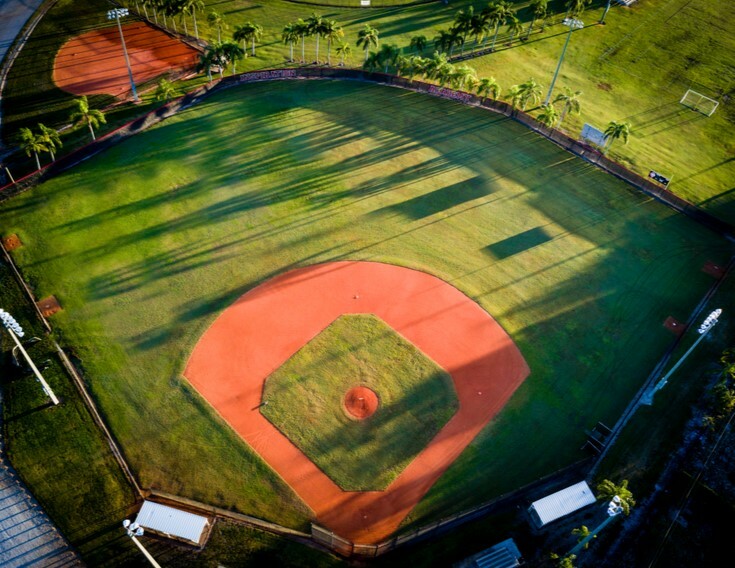 The baseball field is located adjacent to campus at Palma Sola Park. 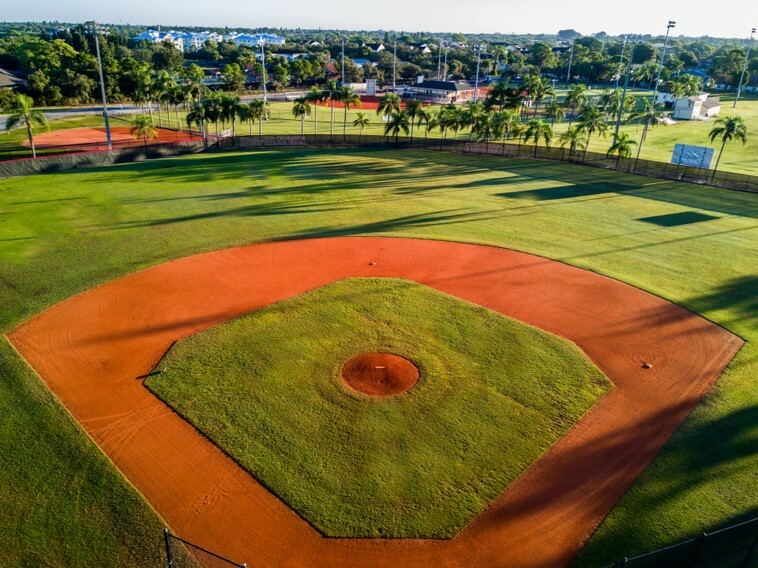 The post-grad program utilizes a high school size baseball field, football field, and half infield.